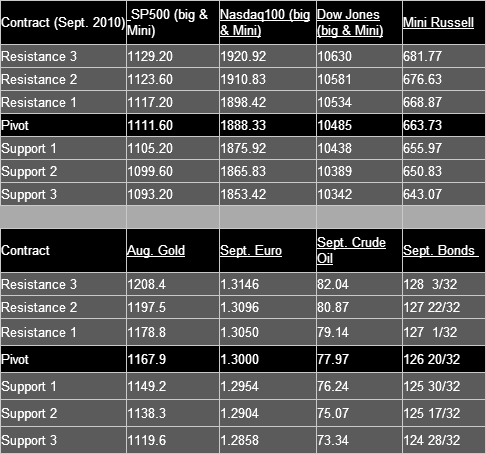 Market made recent highs overnight, backed down and managed to close unchanged. I think with this recent move, it is the Dow Jones average which is leading the way. 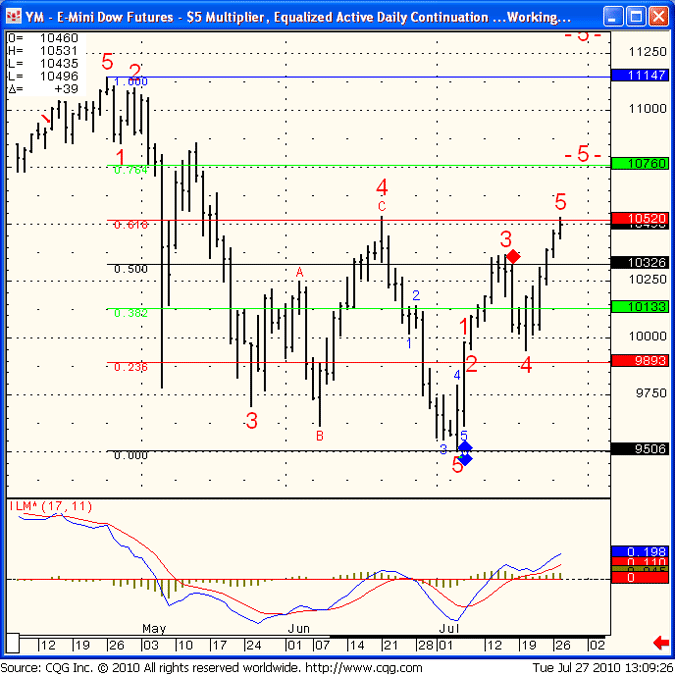 Below is a daily chart of the mini Dow Jones futures along with some Fibonacci levels. on the flip side, an hourly close below 10435 can bring 10320 much closer.